One thing Minnesota gardeners like to do in the winter is to pore through see catalogs and dream about spring planting, mentally planning their beds. This is especially true for those who enjoy growing vegetables. Although vegetable gardens are very popular, some veggies can be difficult to care for. Herbs, on the other hand, usually require little maintenance and save money on the grocery bill. They can also be used through the growing season. Why pay for something you can grow on your own? Also, any of these can be potted and grown indoors over the winter to add a fresh taste to your kitchen. This versatile herb works for quite a few dishes, from mashed potatoes to chicken salad. They’re tough enough to resist heat and cold, plus they naturally repel insects. 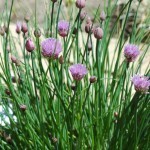 Although chives are generally very low maintenance, they need to be divided every 3 years. 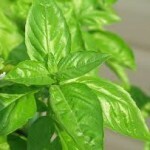 Although basil isn’t a fan of the cold, it’s a great option for any garden. It grows beautifully in the warmer months and can be used as soon as it’s a few inches tall. In fact, it does better when regularly trimmed back. Pesto enthusiasts would do well to grow this herb and make enough sauce to freeze for year round use. Since it suffers from the cold, cover it in early spring or fall with a bed sheet. 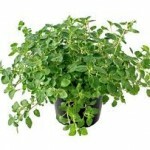 Greek oregano is another cooking staple which goes very well with basil. This flavorful herb is an ideal choice for container gardening, too. All it needs is water, sun and bimonthly fertilizing. Best of all, you’ll always have fresh oregano in your kitchen. Great with roast turnips, chicken or marinades for different types of meat, lemon thyme is a perennial which comes back year after year. Though there are quite a few thyme species, lemon thyme is one of the easiest to grow. 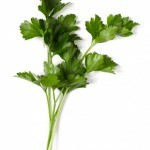 Although parsley is inexpensive in the grocery store, commercial growers often spray it with harmful insecticides. Fortunately, parsley plants are also inexpensive and very easy to grow. Lemon balm is part of the mint family, which means it grows like a weed, is tolerant to temperature extremes, and isn’t bothered by pests. This herb has also been used for centuries for its medicinal properties in soothing upset bellies and taking care of headaches. If you’re potting indoors this winter or planning to incorporate herbs in your garden next spring, are a few which are almost guaranteed to grow well and yield great results in the kitchen.